Home » Blogs » Have Deficit Projections Doubled Because of the Tax Bill and BBA 2018? “Well that doubling is not because of the tax cuts. Even the Congressional Budget Office, which isn’t a big fan of tax cuts, admits that a trillion dollars more of revenue will come in to the federal government after tax reform than before, so we’re helping grow the federal revenues. It’s all on the spending side. That’s I believe where we need to focus. I do think, at the end of the day, making permanent these individual and small business cuts are incredibly helpful for growth for the U.S."
We rate this claim as largely false. 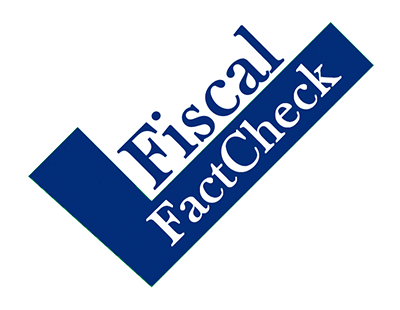 While the tax cuts aren't the only reason deficit projections doubled, a combination of tax cuts and spending hikes enacted this year are responsible for four-fifths of the deficit increase – and more than half of that is from tax cuts. Moreover, the Congressional Budget Office's (CBO) revenue projections have fallen, not risen, when measured on an apples-to-apples basis. President Trump's first budget (for FY 2018) projected a $526 billion deficit in 2019 under its policies. The FY 2019 Mid-Session Review released last Friday revises his current budget to a $1,085 billion deficit in 2019. That's an increase of roughly $560 billion, or more than double. Based on estimates from CBO, the 2017 tax bill added $230 billion to the 2019 deficit or two-fifths of the increase, after accounting for debt service and the feedback resulting from positive effects on the economy. The spending increases agreed to in February and set in March added another $180 billion, one-third of the increase. Other legislation, including tax cuts passed in January and disaster spending bills, added another $25 billion. Altogether, tax cuts and spending hikes account for more than four-fifths of the deficit increase between the President's FY 2018 budget and the recent Mid-Session Review. Source: CBO, OMB, and CRFB calculations. Numbers rounded to the nearest $5 billion. Cost of legislation is measured by CBO, while the other lines are from OMB. Moreover, CBO's estimates show revenue will fall by $1 trillion, not rise by that amount. Chairman Brady's claim may come from comparing the $44 trillion of revenue currently projected between 2019 and 2028 to the $43 trillion previously projected between 2018 and 2027. In other words, Chairman Brady is presumably comparing ten-year estimates when the tenth year was in 2027 with estimates when the tenth year was 2028. This paints a misleading picture, as revenue in 2028 (the year added) is $2 trillion higher than revenue in 2018 (the year dropped) regardless of the tax bill, largely due to inflation and economic growth. Measuring revenue over the same time period on an apples-to-apples basis would show total revenue fell from $43 trillion between 2018 and 2027 to $42 trillion over that same time period. While we appreciate Chairman Brady's call to focus on controlling spending, he is wrong to suggest that projected tax revenue rose or that the recent tax cuts played no role in rising deficits. In reality, last year's tax bill substantially worsened deficit forecasts – along with the spending increases in February and other tax cuts and spending increases passed over the last year.